Janus is Kolkata’s newest cultural space and it will bring together performing and visual arts under the same roof. Last week saw the newest addition to the city’s ever expanding art scene opening its doors to welcome art aficionados. Located at Surayia Court 187 Park Street (right at the Park Circus crossing), Janus, a Sanskrit word meaning creation or birth, aims to bridge the gap between the arts and encourage inter disciplinary work. It is the brainchild of Mahmud and Sanchayita Bhattacharjee Alam. Mahmud is a poet and theatre person who is associated with hits such as Safarnama which was recently chosen for the 8th International Theatre Olympics. Sanchayita wears many hats. A Cordon Bleu chef and author of the book Travelling Flavours, she is equally well known for the roles she has performed on stage. Janus is their way of giving back to the arts community. They plan for it to be a space that encourages collaborations and experimentations. They intend to produce original performance pieces but are not against contemporary interpretation of existing works. 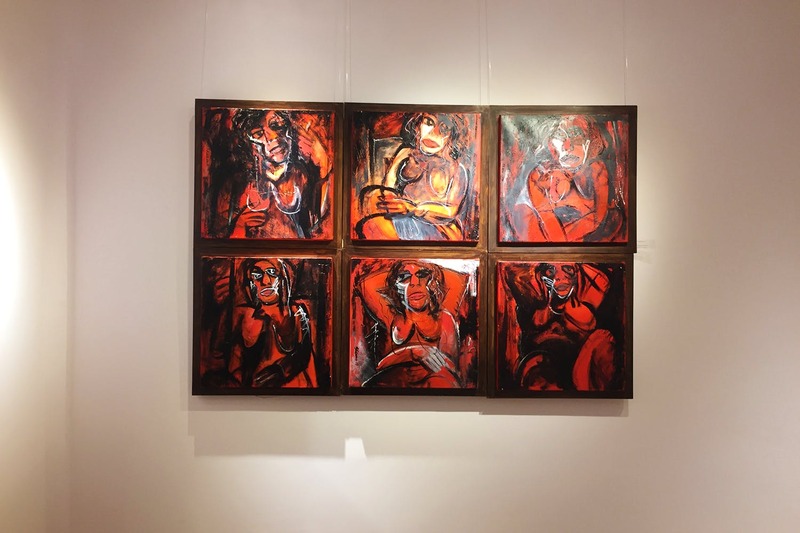 They opened with the well curated exhibition Compelling Gestures, which is on till July 15, featuring work by Jogen Chowdhury, Samir Aich, Habibur Rahman, Siddharta Ghosh, Arghya Priya Majumdar, Chandra Bhattacharjee, Sumitabha Pal, Sheema Barua and Prasun Ghosh. The art is a mixed bag of paintings and sculptures and installations. Visually quite striking my favourite was a ceramic skull by Prasun Ghosh. The variety of this show ensures that there is something for everyone. They have a slew of shows coming up as well as some interesting workshops. The black box area is an intimate auditorium reminiscent of Prithvi in Bombay. It seats 50 people and boasts its own green room done up in retro style. They already have a whole calendar of events planned both in the art and theatre space. So watch this space for more art exhibitions, plays and workshops in the near future.